Lightest Spikeless BOA Shoe in the world! 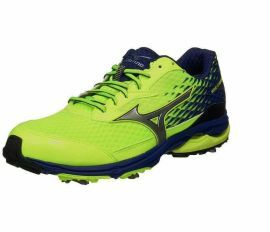 Waterproof Mizuno Wave Technology: The corrugated sole plate gives a firm cushioning and stability designed to reduce foot fatigue, which makes the last few holes that much easier. IG Multi Technology(Impact Grip System) is engineered to deliver added grip and stability throughout the swing in firm conditions, and specifically through impact. With the Dynamotion Fit Structure, as your foot twists, bends or streches, the shoe upper moves with you and enables smooth shift of weight. Turn the dial clockwise to tighten the legs a pleasant light and power to deliver. Any motion of the foot even better grip power [IG4f Spike (TM-only fast twist). IG series spikes to 1 lateral grip on a large scale, plus a round spike IG4f spike. 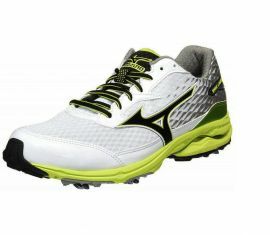 Performs any motion of the foot, good grip.